Living on the Upper East Side of Manhattan, Eileen and Richard Ekstract are founders of Cottages & Gardens magazine. They are also longtime art aficionados. Eileen was a docent at The Metropolitan Museum of Art in New York for 23 years while Richard was an original trustee of The New Museum of Contemporary Art. 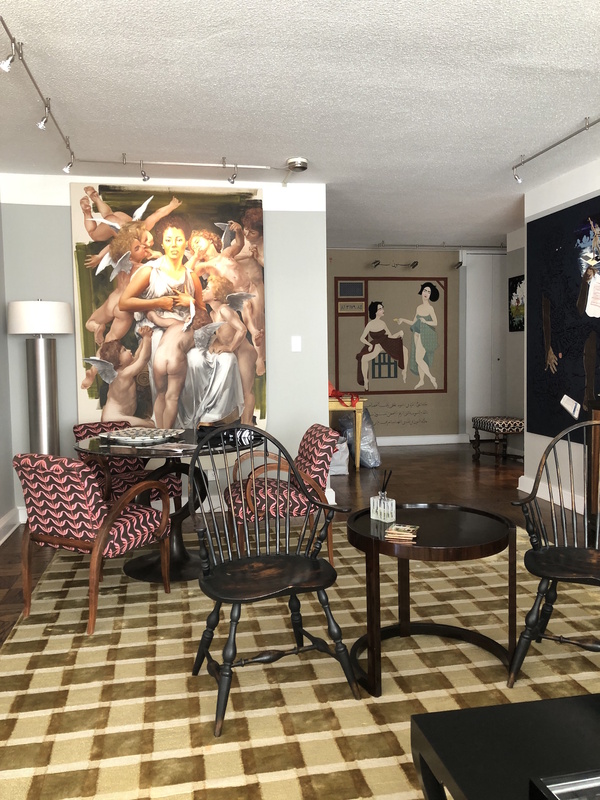 They also launched Collectors Concessions two years ago, hoping to share their love of art and exceptional artwork with others after they realized they had kept too many of their collection in storage. 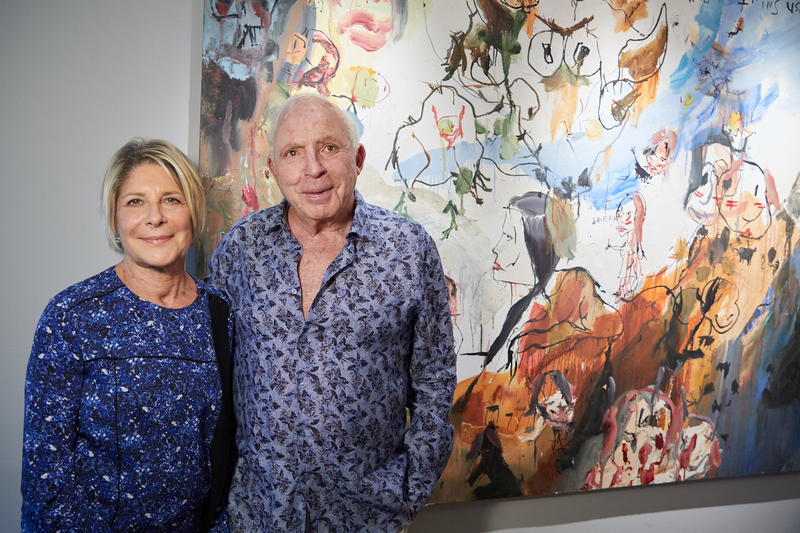 Eileen and Richard Ekstract shared with Larry’s List how they developed their love for African art, Richard Ekstract’s friendship with Andy Warhol, the artists they are following, as well as their latest purchase. Eileen and Richard Ekstract in front of Unborn Twins USA, 2001 by Brad Kahlhamer. Courtesy of Eileen and Richard Ekstract. One doesn’t begin collecting art until you can afford it. In our case, it began when Richard was waiting to see an advertising client for a magazine he owned. He was early and decided to stop into a gallery that featured African art. 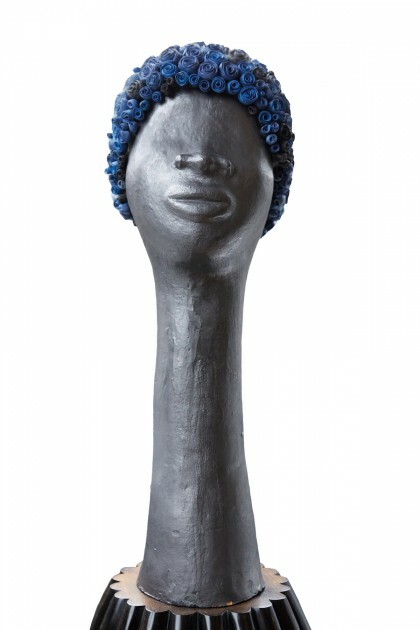 Simone Leigh, Shower Cap, 2013. Courtesy of Eileen and Richard Ekstract. Why are you more attracted to African art? 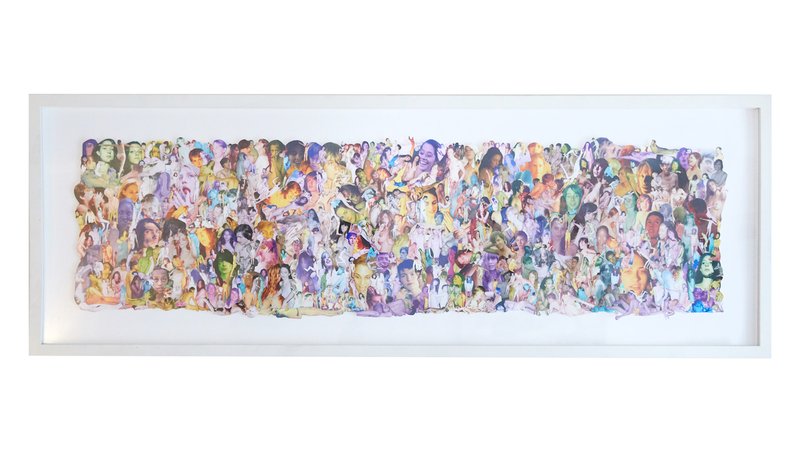 How has this stream of art evolved in the United States since you started collecting? It was the energy emanating from the works. Richard bought a piece, but he began small because funds were limited. In recent years, thanks to equality of opportunity that exists in the US, African Americans have developed and shown some of the most interesting contemporary art available anywhere. What is your focus regarding the artists in your collection, emerging or renowned? Do you follow through the careers of some artists, and who are they? 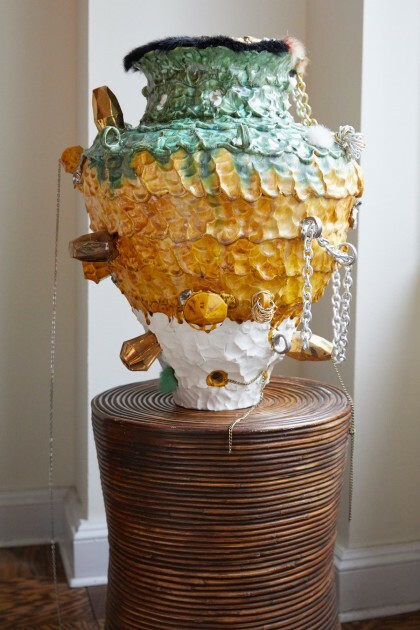 We have always been inclined to collect emerging and contemporary art. Perhaps this is because of Richard’s early exposure to emerging art through his association with the birth of The New Museum of Contemporary Art as an original trustee of the museum. 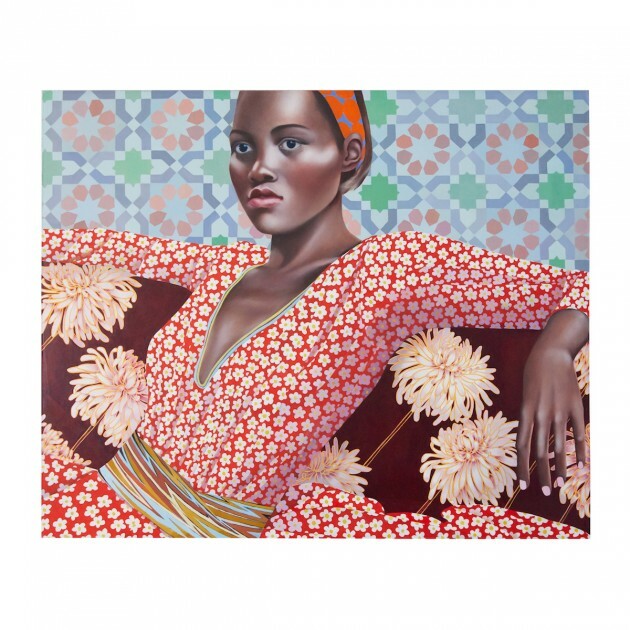 We do follow the careers of artists we like, such as Titus Kaphar and William Villalongo, David Shrobe, Lynette Yiadom Boakye, Simone Leigh, Vanessa German, and Ursula von Rydingsvard. Titus Kaphar, Tina Vesper, 2009. Courtesy of Eileen and Richard Ekstract. The first artwork purchased was a piece of African tribal art, alleged to be about 100 years of age. In the past few weeks we bought David Shrobe, Genieve Figgis and Derek Weisberg. David Shrobe, If I Ruled The World, 2018. Courtesy of Eileen and Richard Ekstract. We own about 250 pieces of art. 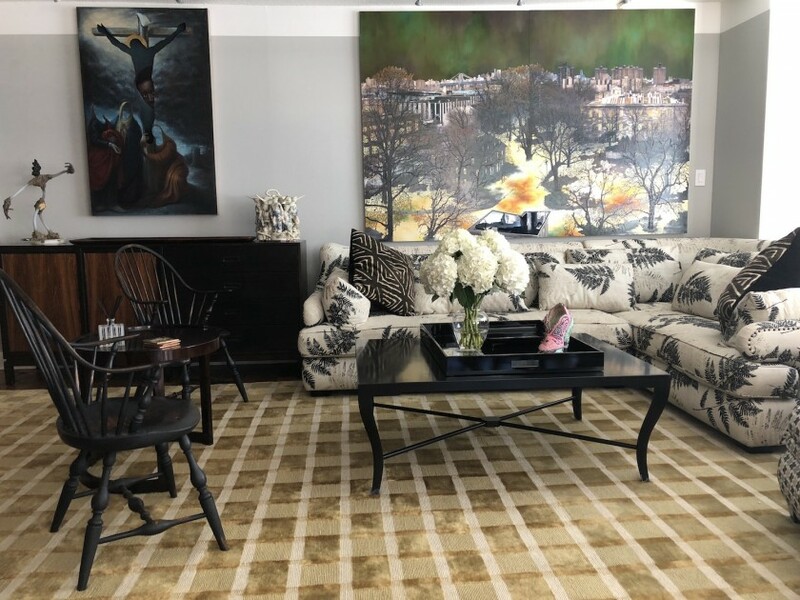 We display as many as 40 or more pieces in our apartment in New York. We recently re-hung a work by Brad Kalhamer we bought in the early nineties. It looks as fresh today as the day it was painted! Where have you presented your art collection publicly? We lend and donate works from our collection to many museums. 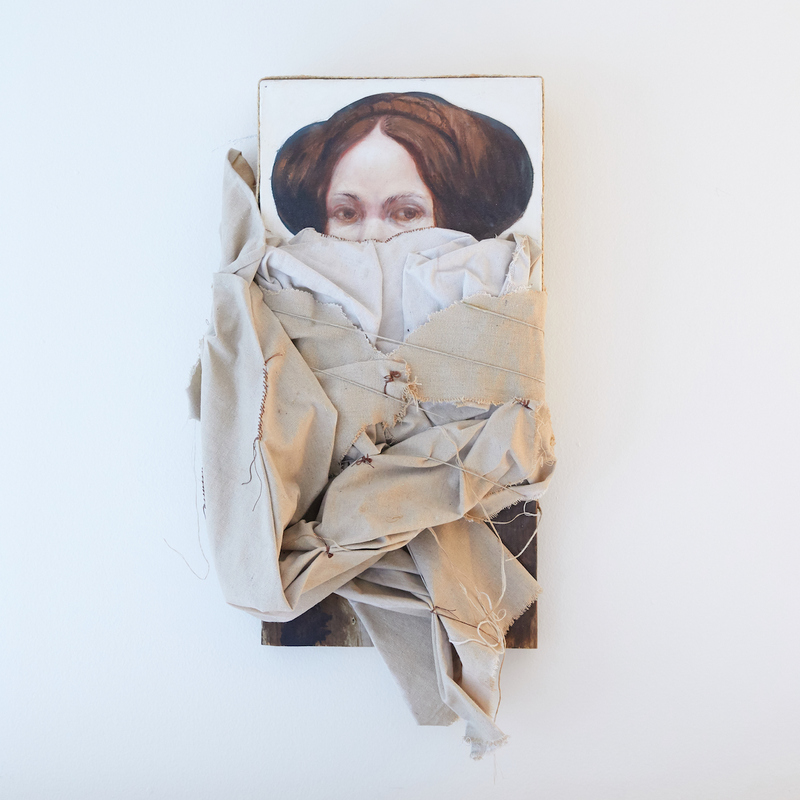 Our most recent museum loans were to The National Gallery in Washington D.C. of Titus Kaphar. A corner of Esktracts’ art-filled apartment in Manhattan. Courtesy of Eileen and Richard Ekstract. The living room of Eileen and Richard Ekstract. Courtesy of Eileen and Richard Ekstract. Our tastes guide our purchases. We attend many galley openings and shows such as Freize, Art Basel in Switzerland as well as Art Basel Miami. Also, Richard takes a course visiting galleries with NYU professor, Douglas Maxwell. 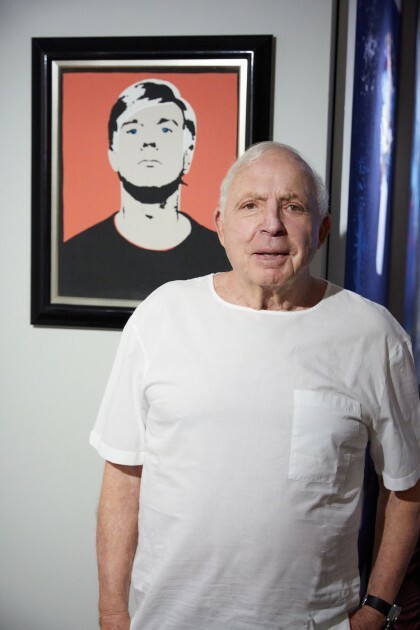 Richard Ekstract in front of their most treasured artwork: Andy Warhol, Self-Portrait, 1964. Courtesy of Eileen and Richard Ekstract. Our most treasured artwork is a 1965 self-portrait by Andy Warhol. He gave it to Richard following the success of his underground party introducing Warhol’s first video. Richard, you were friends with Andy Warhol. Can you tell us the story? Not only was I friendly with Andy Warhol back in the sixties, I also got him his first video recorder from Norelco and staged a party for him underneath the Waldorf Astoria hotel – to introduce his first “underground” videotape. It starred “superstar” Edie Sedgwick who came with Andy and interacted with the tape: Inner and Outer Space. 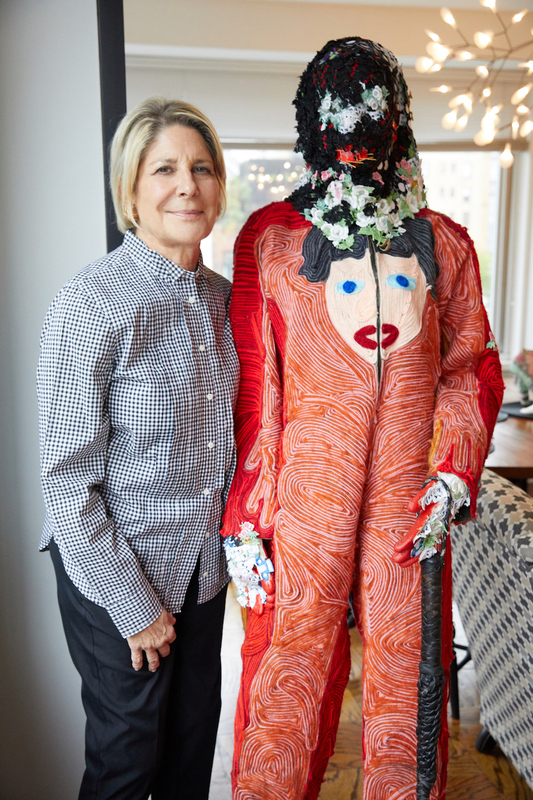 Eileen next to an artwork – Raul de Nieves, Celebratory Skin – Blue God, 2016. Courtesy of Eileen and Richard Ekstract. While we view it as important to meet and to get to know the artists we collect, it is not always possible. Certainly, it gives more meaning to the works if you have time to spend with the artist. Ryan McGinley, Whirling Swirl 2, 2011. Courtesy of Eileen and Richard Ekstract. Don’t buy because others collect the work, but do your homework and only buy what you like. Can you name three artists who should be on our radar? Chakaia Booker, Vanessa German and David Shrobe. Jocelyn Hobbie, Chrysanthemums and Stars, 2017. Courtesy of Eileen and Richard Ekstract. What motivated you to set up Collectors Concessions? We were motivated to start Collectors Concessions as we reviewed the many works we have in storage and believe that these works should be seen and enjoyed by younger collectors. 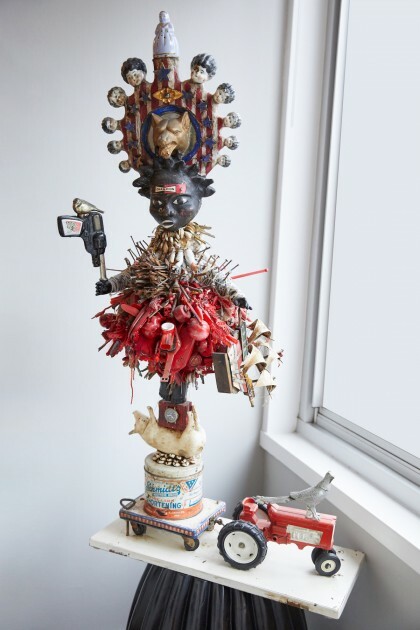 Vanessa German, Prize Winner!, 2012. Courtesy of Eileen and Richard Ekstract. How does it serve collectors’ needs? Collectors Concessions serves a need for busy people who don’t have the time to see as much art as we do – and to buy most works usually for much less than the original cost. What is your vision in developing it in the upcoming years? 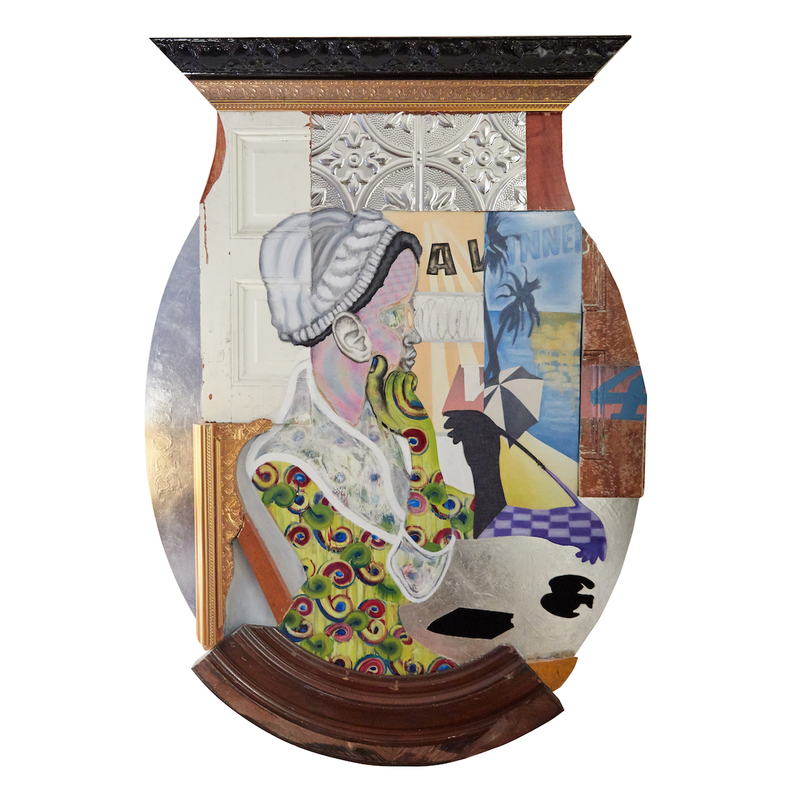 We know so many collectors who have great works in storage because they keep buying new works. We hope they’ll join us in offering this so-called “excess inventory” for sale at discounted prices via Collector’s Concessions. Nicole Cherubini, Gem pot with green fur, 2004. Courtesy of Eileen and Richard Ekstract.